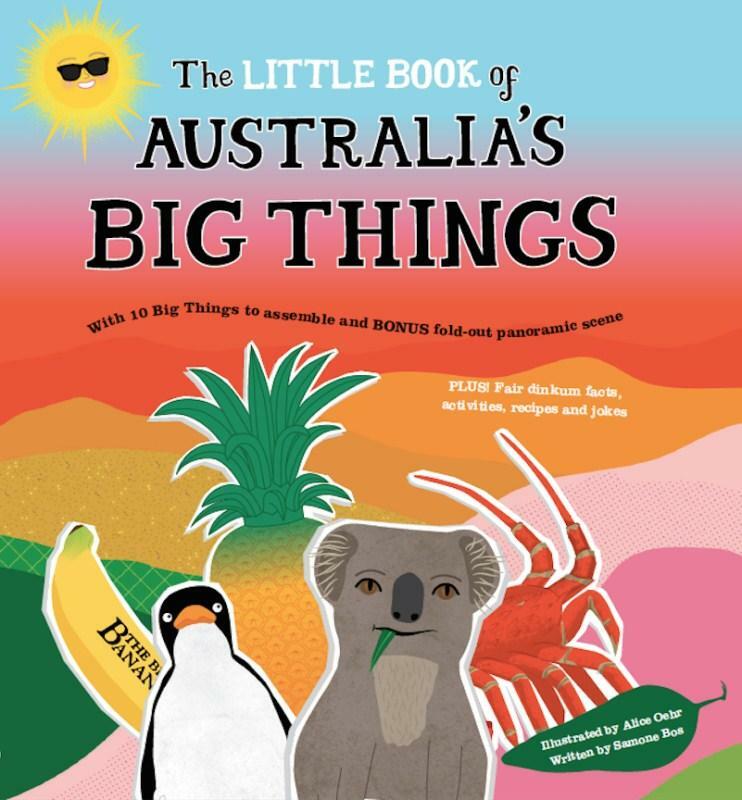 The little book of Australia’s big things offers primary school-aged readers a little bit of everything, from facts and jokes to recipes and craft activities. It casts a spotlight on ten of Australia’s beloved ‘big things’, spanning tourist sites from the better known Big Banana to the more obscure Big Penguin (which is actually found in a Tasmanian town called Penguin, who knew?!). This is a book readers can easily dip in and out of. It is divided into sections for each ‘big thing’, containing a photo of the real thing, illustrative depictions, and a map of Australia marking its location. There’s a brief rundown of key facts, perhaps a joke or two, and then the interactive fun begins. Each ‘big thing’ has a page containing a pop-out picture to cut out and assemble. It’s a shame these aren’t perforated, as it means chopping into a beautifully designed book. The jacket of the book contains a panoramic scene of Australia where the pop-out ‘big things’ can be pasted. Other fun activities within the pages include instructions on how to teach a galah to talk, and how to grow your own pineapple from an old pineapple top (hint: much patience is required!). 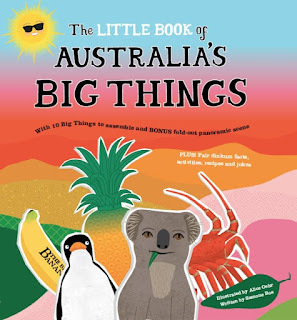 Readers will delight in the vibrant illustrations and fun-packed pages on this most endearing Australian topic, all things ‘big’. If children have visited one of the sites they will no doubt love to learn more about it, and for those they haven’t seen, requests for road trips may ensue. As the book mentions, there are over 150 ‘big things’ in Australia, so there’s sequel potential for this highly engaging non-fiction title.